Help Hurricane Sandy Victims at Lucky Shops Shopping Event! Due to Hurricane Sandy, Lucky Magazine's annual, ultimate shopping party was rescheduled to December 6-8. So if you're in New York City during the pre-holiday retail rush, get your ticket to the exclusive LUCKY SHOPS 2012 (82Mercer @ 82 Mercer Street between Spring and Broome Streets) to indulge in a little retail therapy and score great deals on designer fashion. All items will be priced at up to 70% off the full retail price, and featured designers include Foley + Corinna, Rachel Roy, Rebecca Minkoff, Trina Turk and Organic by John Patrick. Part of the proceeds will benefit victims of Hurricane Sandy, and the Julian D. King Gift Foundation, a non-profit organization co-founded by music diva and Academy Award-winning actress Jennifer Hudson that helps children of all backgrounds to become productive, confident and happy adults. And if you attend the VIP event (Dec. 6), you'll even get the chance to hobnob with Ms. Hudson. 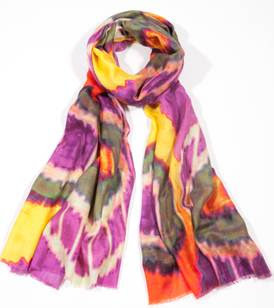 Trendy scarf on sale at Lucky Shops. Now in its ninth year, LUCKY SHOPS has become the benchmark for all shopping events, bringing the pages of the magazine to life with a unique mix of established and up-and-coming designer brands at a variety of price points. 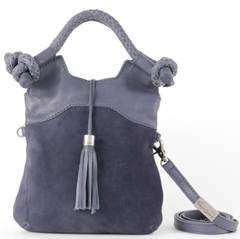 Lucky’s team of experts have carefully curated their favorite fashions, shoes, jewelry and more. Shoppers will also enjoy music, refreshments, giveaways and much more! American Express® cardholders receive $25 off a purchase of $100 or more when you "Sync Before You Shop" with any eligible American Express® Card. Shoppers will also enjoy makeovers by Maybelline New York Color Studio, hourly giveaways by Sole Society and Lucky Breaks Deals, where designers discount one select “Lucky Breaks” item from their boutique at least 60% off while supplies last. Dec. 6: VIP Charity Shopping Party Hosted by JENNIFER HUDSON, 6PM - 9PM, $150 in advance, $155 at the door. Dec. 7: FIRST DIBS FRIDAY, 10AM – 7PM, $35 in advance, $40 at the door. Dec. 7: FRIDAY GENERAL ADMISSION, 12PM - 7PM, $30 in advance, $35 at the door. Dec. 8: SUPER SHOPPER SATURDAY, 10AM - 5PM, $30 in advance, $35 at the door. Dec. 8: SATURDAY GENERAL ADMISSIONS, 12PM - 5PM, $35 in advance, $40 at the door. Dec. 7-8: DOUBLE DEALS 2-DAY PASS, Friday 12PM-7PM and Saturday 12PM-5PM, $50 in advance, $55 at the door. What Causes Adult Acne and How to Treat It? For those of us who struggled with acne as adolescents, the last thing we want to do is deal with adult acne. Like when we were teens, adult acne can be embarrassing and cause us to feel less confident at work and in social interactions. According to WebMD, adult acne is caused by sebum, an oily substance produced by the skin's sebaceous glands. Sebum clogs pores, which attracts bacteria and become inflamed. For some adults, breakouts are a result of hypersensitivity or the overproduction of male hormones known as androgens. An imbalance in both male and female hormones (estrogen) can also cause breakouts. In women, this can happen during pregnancy, perimenopause and menopause. Besides hormones, some medications and cosmetics also contribute to developing acne. How to treat adult acne? It's the end of an era. 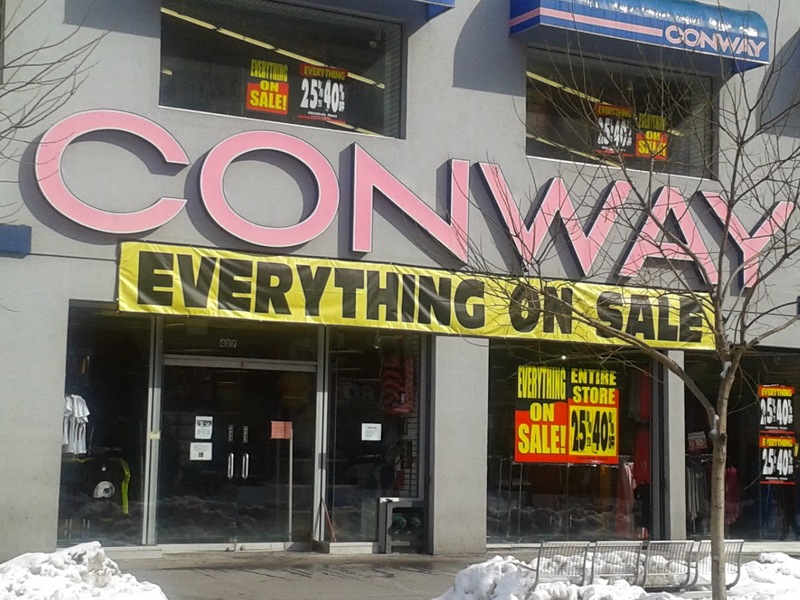 Conway discount stores are closing. As of this weekend, a sign on the sole Herald Square location (34th Street btwn 7th and 8th Ave) says the store will close in "7 Days." Before I relocated to New York City, I was introduced to the discount chain while on a bus trip from Baltimore. I recall the first time I saw Conway's signature pink bags carried by hurried shoppers in midtown. And Miss Foster, the trip organizer and a bargain hunter from way back, took me to the store for the first time. When I moved here in 1994, my love affair with Conway continued. I furnished my first apartment with discount knick-knacks and home goods from the store. And much to my chagrin, in hindsight, I curated most of my wardrobe for my first full-time job from the long-shuttered 42nd Street and Third Avenue store. Does Your Cheap Jewelry Contain Lead? 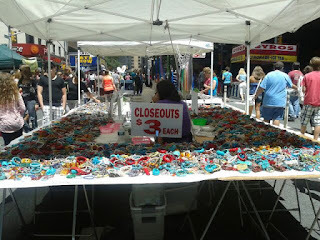 Scouring street fairs, flea markets and discount shops for cheap, chunky costume jewelry is kinda our thing. As a sometime sidewalk sale seller and Etsy store owner, we’ve even sold thread earrings made in Brazil and Peru. Lately, however, we’ve noticed the label "lead compliant" on some of our fashion jewelry finds. But what does that mean? To get the skinny on lead compliance and what we should look for and avoid when shopping for budget costume jewelry, Everything She Wants asked two jewelry experts/medical doctors – Alexis Gopal and Matilde Parente -- for their tips. Everything She Wants: What does it mean when jewelry says, "lead compliant?"